The Orange Catholic Foundation offers an opportunity for individuals, business leaders, and other benefactors to help support our Catholic elementary schools in the Diocese of Orange by making a tax-deductible gift to our annual program. By supporting our students through tuition assistance grants awarded by the Orange Catholic Foundation, you will make a dramatic difference in the lives of many children and the vitality of our Catholic schools. You will also serve as an example of the compassion and selflessness we strive to instill in our Catholic school students who will become our future leaders. How does the Sponsor our Students program work? Your gift to the Sponsor our Students program will fund tuition assistance grants at Catholic elementary schools in the Diocese of Orange. Your gift will be added to the funds raised through other Orange Catholic Foundation-sponsored fundraising activities and will be distributed to the schools to provide to qualified students demonstrating financial need. 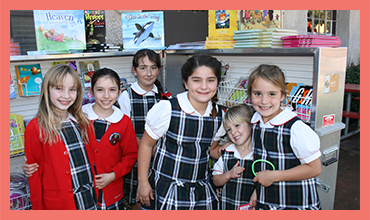 Our Catholic school students directly benefit from your gift! Your gift will be used to provide scholarships to those students who want to take advantage of Catholic education, but who require and qualify for financial assistance in order to attend a Catholic school in the Diocese of Orange. The Sponsor our Students program at the Orange Catholic Foundation provides several levels of gifting as well as options for payment. Simply select the options from the category that best suits you. To help support our students, we encourage gifts of all sizes and accept pledges that may be paid monthly, quarterly or annually. Donors may pay by check (made payable to the Orange Catholic Foundation), credit card, or may give marketable securities to the Orange Catholic Foundation.